​Lidia Ciubuc graduated Bachelor's Degree in ''Classical Music Composition'' in 2013, and in 2015 graduated master's studies in ''Style and Compositional Language'' at the National University of Music Bucharest, Romania. Ste studied also at the Faculty of Musical Interpretation, specialization ''Piano''. She also graduated different master classes of piano and composition with teachers from France, Poland, Japan, Russia, Italy, USA, Sweden, Romania, Holland, Australia. 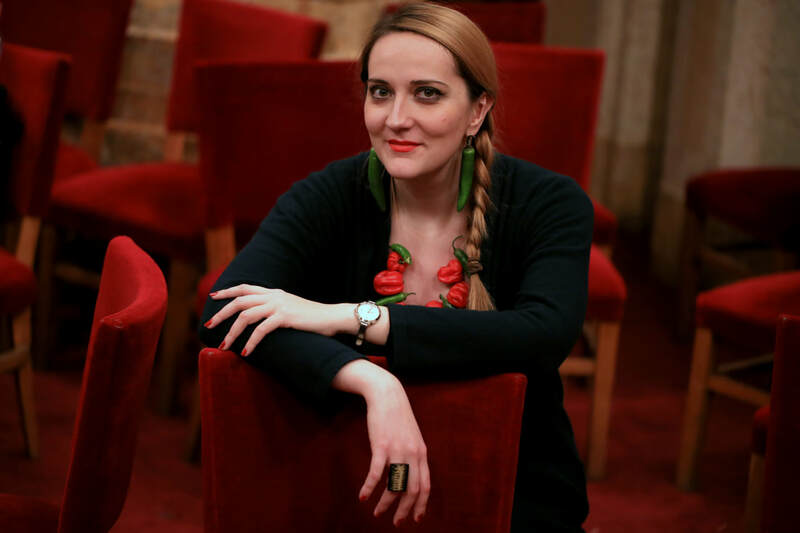 Since 2014 she is a member of the Union of Composers and Musicologist from Moldova. Since 2005 she has performed recitals in prestigious halls, her works were performed in various national and international festivals. She has composed works in different genres: chamber, symphonic, vocal- symphonic, choral creations, as well as light music, romance, ambient music. She regularly hosts charity concerts. ​​Utami Easty was born in 1991 in Athens, Greece. Her father is English and her mother is Greek. She began her music studies in 2007 at the age of 15, and her first classes were in Classical Piano, Choral Singing, and Theory and Harmony of music. In 2012 Utami was admitted into the Music Department of the Ionian University in Corfu where she discovered her passion for Composition for the Performing Arts and Contemporary Dance and started taking dance lessons. In 2016 she was granted a 3-month Erasmus+ scholarship to attend the University of York where she took Composition Classes. In 2017 she completed her first work and thesis entitled Stillness in Motion, a 20- minute original piece for percussion and solo Contemporary Dance. The work was presented to the public in Corfu. In May 2018 she completed her undergraduate studies, and is currently preparing for postgraduate studies. ​Anastasia Giamouzi was born in Katerini. At the age of 10, she started learning to play the electric guitar with the teacher Elias Katsianos and got the Llcm performance diploma from London College of Music at Blues/Rock electric guitar, as well as, the degrees of Harmony and Counterpoint, with a distinction, and has been performing and teaching ever since. Now, she is a student in the department of Music Science and Arts of the University of Macedonia, at the specialisation of composition, with the professor Giorgos Kyriakakis and many of her compositions has been performed in and out of the university. Also, she is studying Jazz guitar with the teacher Makis Stefanidis. ​Maria Gouvali (born 1990) is a greek composer and saxophonist. She began her studies in classical saxophone and music theory in 1996 at the Municipal Conservatory of Lamia (Grecce). She received degrees in advanced music theory, obtaining diplomas in Harmony, Counterpoint and Fugue with a grade of “Excellent” (Vassilis Kitsos class) and in 2011, she received her Diploma in Saxophone with the grade of “Excellent (unanimously)” (Thanos Fissekis class). She studied composition (Composition Class of Christos Samaras) at the Department of Music Studies of the Aristotle University of Thessaloniki (Greece), from where she graduated with the highest distinction. As a soloist, she has given many recitals in important concert halls of Greece. Her compositions have, also, been performed by contemporary music ensembles in the National Radio of Greece and in many concert halls in Europe. She has attended master classes with distinguished Greek and foreign saxophonists: Jean Marie Londeix, Theodoros Kerkezos, Thanassis Zervas, Leo Saguiguit, Eric Honour etc as well as seminars of advanced music theory and composition with Theodoros Antoniou, Nikos Kypourgos, Giorgos Hatzinikos etc. She has been awarded prizes in several national and international saxophone and composition competitions. Among others, the Deutsches Nationaltheater and Staatskapelle Weimar chose her twice (2017-2018) to perfome her compositions in Matinee about the premieres of ‘’Lulu’’ and ‘’The Marriage of Figaro’’. Since 2009, she is a member of the “European Center for Saxophone Study” in Bordeaux, France. From 2011 to 2016, she taught saxophone and music theory in music schools and music conservatories in Greece. She lives in Weimar (Germany) where she attends her master studies in composition at the Hochschule für Musik Franz Liszt (composition class of Michael Obst). 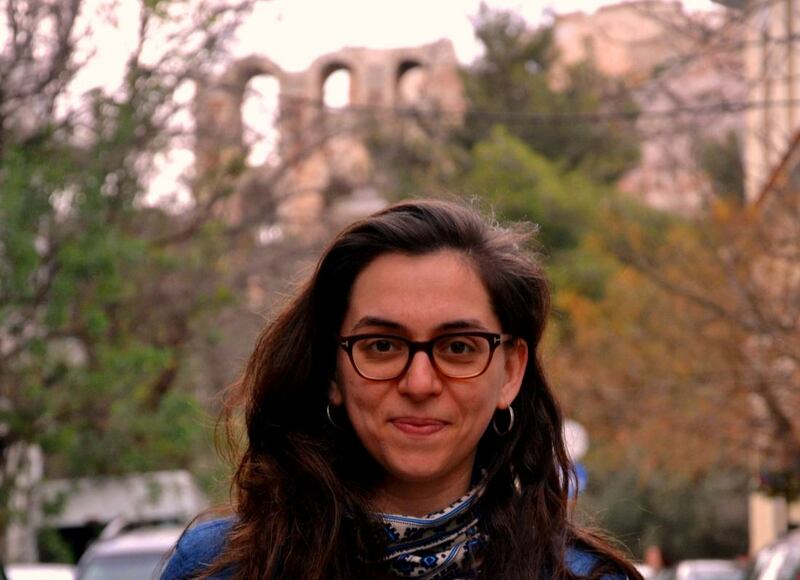 ​​Rafaela Troulou was born in 1992 in Mytilene, Lesvos. In 2010, she was introduced as a student in the Department of Music Science and Art of the University of Macedonia, where she graduated in 2014. In 2005, she began her studies in music theory with Nikos Tsirigotis in Mytilene, obtaining her degree in Harmony and Counterpoint. Later on, she continued her studies in Fugue and Composition, in the class of Theodoros Grounis. In February of 2017, she completed her studies by obtaining her Composition diploma, and in April of the same year she completed her postgraduate studies at the University of Macedonia in the field of “Music Teaching”. Since 2014 she has been working as a music educator at “Baby Artist”, a music education program for babies and infants, and since 2017 as a music theory teacher at the Conservatory of Nea Propontida. Diana Rotaru's music explores hypnagogia or pre-oneiric aesthetics, feminine psyche and imaginary folklore, amongst other expressive directions. She is active as a promoter of new music in Romania, as the artistic director of SonoMania Ensemble or CIMRO DAYS festival. She is currently teaching at the National University of Music in Bucharest, where she studied with Stefan Niculescu and Dan Dediu. She also studied with Frederic Durieux at CNSMDP and participated in Acanthes (Metz, 2008), Voix Nouvelles-Royaumont (2002 and 2006), or the International Bartok Seminary (Szombathely, 2003), thus working with Jonathan Harvey, Savatore Sciarrino, Brian Ferneyhough or Michael Jarrell, among others. Winner of awards such as the ''George Enescu'' Prize twice, ex-aequo (2003 and 2005), the ISCM-IAMIC Young Composer Award (World Music Days, Vilnius, 2008) or the Irino Prize (Japan 2004), Diana Rotaru has received residencies in Winterthur, Paris and Vienna. Her works have been commissioned by Ensemble XXI (Dijon), Stockholm Saxophone Quartet, Parlor for svin, Ernst von Siemens Foundation, Takefu International Music Festival, etc.